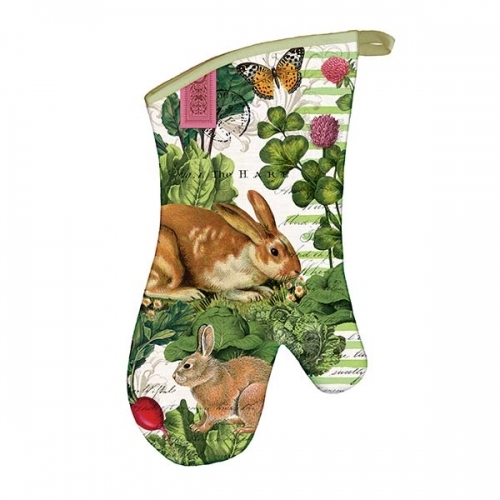 Garden Bunny Oven Mitts - DISC Shop the largest selection of Michel Design Works oven mitts - Garden Bunny Collection. As always enjoy free ground shipping on all orders over $50. Every kitchen can use our padded oven mitts. The front carries a terrific design, the back is a coordinating solid color, and the inside is quilted. Extra length for added protection. Sold individually. Made of 100% cotton.